Hosted, software-as-a-service (SaaS) ecommerce solutions allow small online retailers to open functional online stores with a minimum in capital expense. While there are many good SaaS shopping carts on the market in the end of 2011, here are eight carts that are among my personal favorites. SaaS shopping carts or ecommerce platforms are often technically easy to employ, although it can be a good idea to have help from a professional designer. Shopify has many available extensions that connect it to third-party software. More than 15,000 Internet merchants use Shopify to conduct transactions daily, so there is little doubt that this SaaS ecommerce solution is stable and reliable. 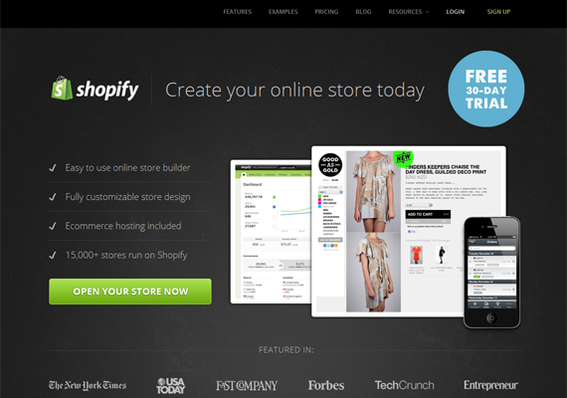 Shopify also boasts an easy to use online store builder. There are some free themes available, and a small number of premium themes may also be found (checkout Cogify Underground as an excellent example). Shopify also has a good App Store that provides a way for site owners to connect with many third-party services. Magento Go relies on the success of the Magento licensed solutions and on eBay, its parent company. Magento Go is a relatively new entry into the SaaS ecommerce solution market, but it carries the brand name and pedigree of what may be the single most popular licensed ecommerce platform. Magento Community, Professional, and Enterprise editions serve more than 110,000 online merchants, including many large multi-channel retailers. 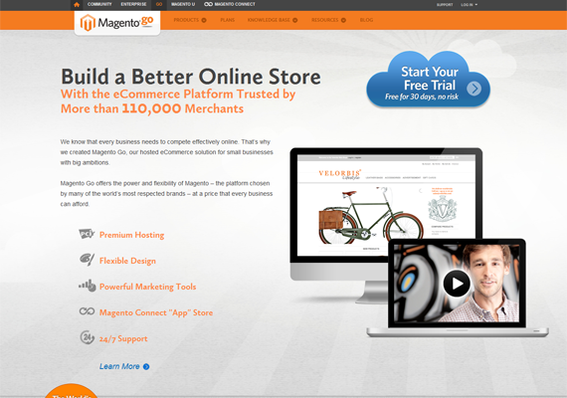 In some sense, Magento Go is sort of a starter version of Magneto meant to help businesses new to ecommerce get up and running very quickly. The solution also has several available extensions that make it a very capable choice for any online seller. Recently, eBay purchased Magento and seems to be investing in an effort to solidify Magento’s leadership position. Volusion has a reputation for being easy to use. Volusion provides a good shopping experience with many customer-centric features like product comparison tools and product image zooming. 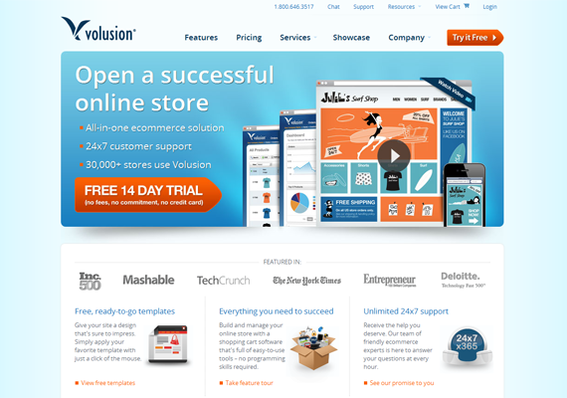 Volusion also charges no transaction fees on orders and offers many free themes. One of this SaaS solution’s best features is its self-help resources, many of which include video explanations of common cart tasks. 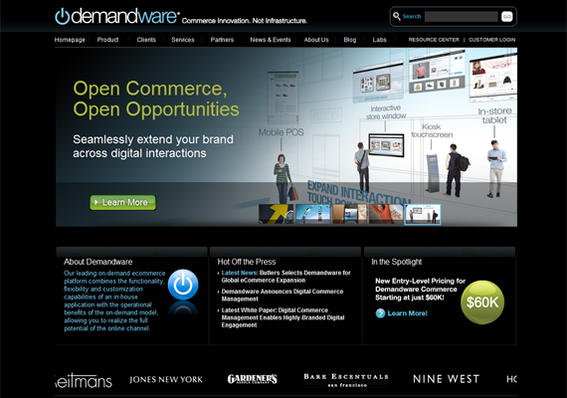 Demandware provides an Enterprise-level solution. Often SaaS solutions are aimed at small or mid-sized businesses in the ecommerce industry. Demandware, in contrast, offers a product that is better suited for mid-sized or larger retailers that already have an established marketing and promotional team but that would prefer not to have to host and build a store in-house. As a result, Demandware is a very powerful solution that starts at about $60,000 per year. 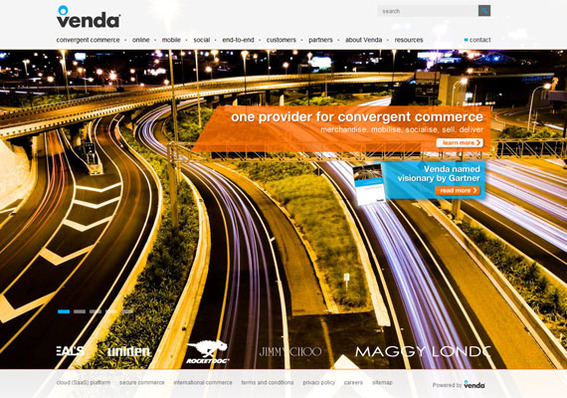 Venda says its SaaS solution lets merchants focus on marketing. Similar to Demandware in its aim to provide top-notch ecommerce services to leading online retailers, Venda’s SaaS Cloud Platform offers all of the capabilities of an enterprise-level ecommerce platform built with common and flexible cloud infrastructure. The solution may be able to cut a large merchant’s information technology investment significantly. NetSuite offers a full-set of SaaS business solutions. 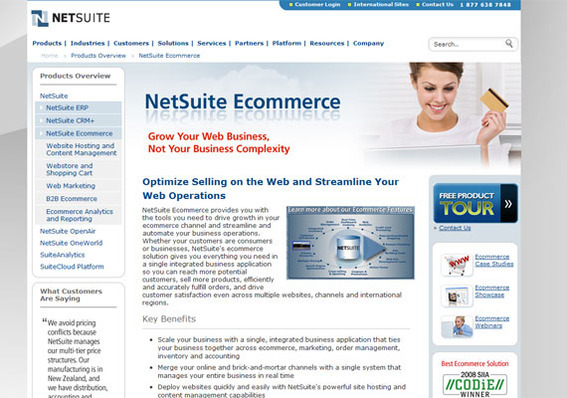 NetSuite offers a complete SaaS ecommerce solution and additional ERP and CRM tools tool. This SaaS service aims at middle-sized retailers that are seeking to gain back-office efficiencies and improve growth. It has many every effective tools for monitoring the lifetime value of customers, monitoring site traffic and customer interaction, and offering multi-tier pricing. 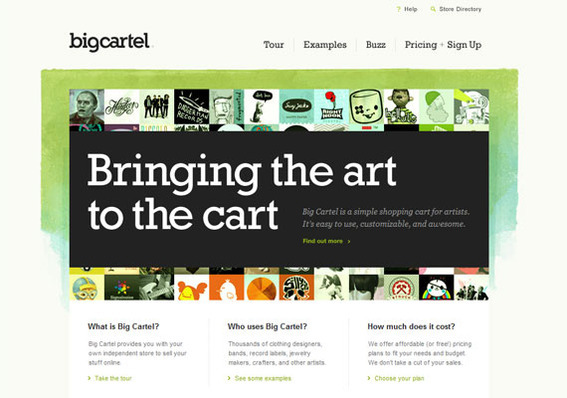 BigCartel is a SaaS shopping cart specifically for artists. As SaaS ecommerce solutions go, BigCartel serves the relatively small artist niche, offering a simple, and basic, solution that is built to feature, promote, and sell artistic works ranging from jewelry to paintings to clothing. As an ecommerce solution, BigCartel is a little barebones, but it is very quick to set up and is very serviceable in its industry segment. Goodsie is especially good for first time entrepreneurs with no technical experience. 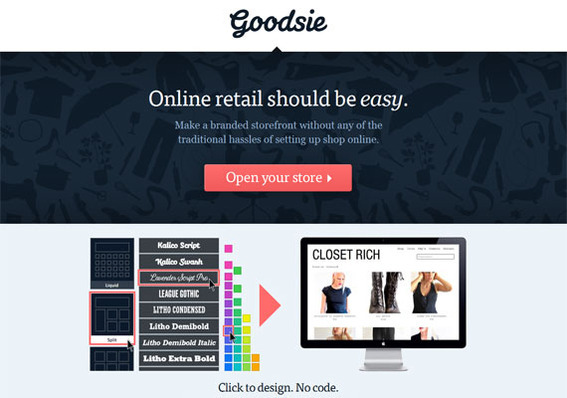 Goodsie helps new ecommerce entrepreneurs get an online store up and running quickly and with essentially no requirement for prior technical experience. If this SaaS ecommerce solution has a downside it is that it is too simple.